Uganda, just like its fellow African states, is a country full of rich stories ranging from social to political and economic aspects to name a few. The latest new short film titled, 'Kyenvu', unpacks issues pertaining to feminism, identity and the mini-skirt bill in Uganda starring Kemiyondo Coutinho and Michael Wawuyo Jr.
Kyenvu is a passion project led by Kemistry Klass production, written and directed by Ugandan ARTpreneur, Kemiyondo Coutinho, in partnership with production houses; Addmaya who did the editing and colouring, Jajja Productions responsible for sound, production and post-production online and offline as well as Quada Music whose focus was scoring and music selection. The film's official soundtrack 'Yellow Again' was written and sung by Ugandan singer, songwriter, composer, saxophonist, classical pianist and producer, MoRoots. Kyenvu is a Luganda word for yellow. "As she struggles to find her footing in a patriarchal society, an independent young woman must live through the taunts of public transport only to find love in a frequent travel companion. Whilst a miniskirt bill is being put on trial a burgeoning love is tested by a gruesome tragedy. KYENVU from writer and actor Kemiyondo Coutinho takes us on a journey fueled with risk, driven by the desperation for change with an impending tragedy as our destination, simply because of a wardrobe choice." 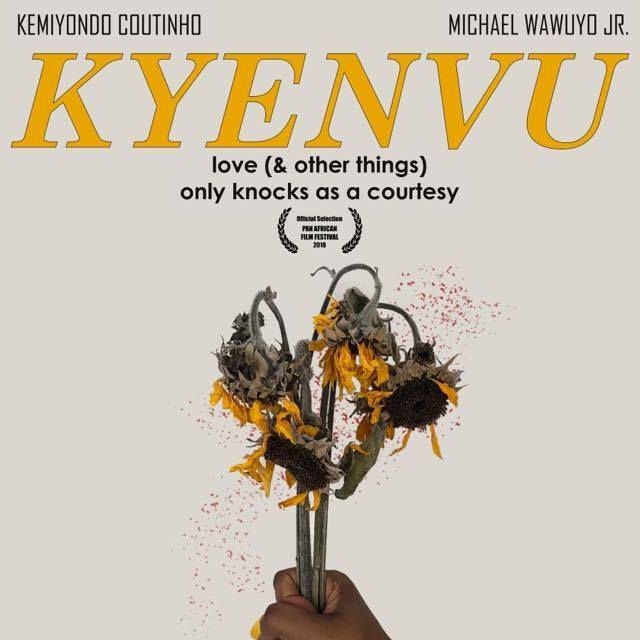 Kyenvu has been selected for the Best Short (narrative) award and is set to make its world premiere at The Pan African Film & Arts Festival next week, which will be held at Cinemark Baldwin Hills Cinema 15, 3650 Martin Luther King, Jr. Blvd, Los Angeles CA 90008.